Affordability – Find out how much you can save or borrow in real-time, across a whole-of-market panel of lenders. Eligibility – Find out which products you could apply for, according to lender policy and scorecard criteria. For businesses that want to provide their customers access to a mortgage offering without leaving their environment. Recommended to partners with an established volume of mortgage customers. 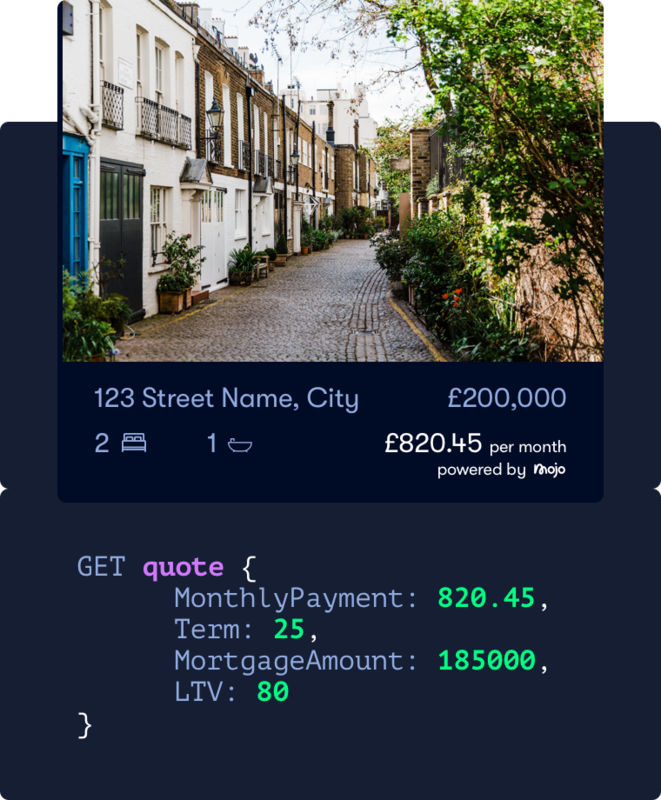 As a branded white-label partner, your own mortgage solution is powered by Mojo. The white-label product has the same market-leading features as our own. We also offer a level of customisation to create the same look and feel as your own website or app. 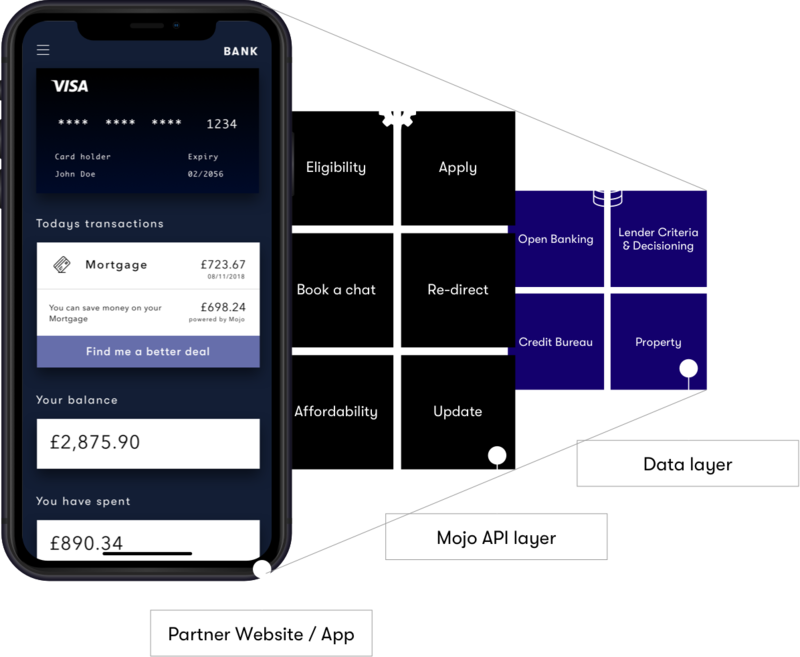 Perfect for partners that want to give their customers access to a fully-featured mortgage offering but don’t need customisation or development control. It’s also a great option for use as a Minimum Viable Product (MVP) to assess customer engagement. And with simple implementation, you can go to market in weeks rather than months. As an introducer, your customers will be directed to a sub-domain hosted by Mojo (e.g. partner.mojomortgages.com). When they arrive, they’ll be treated as if they arrived through our direct channel. Password Forgotten your password? 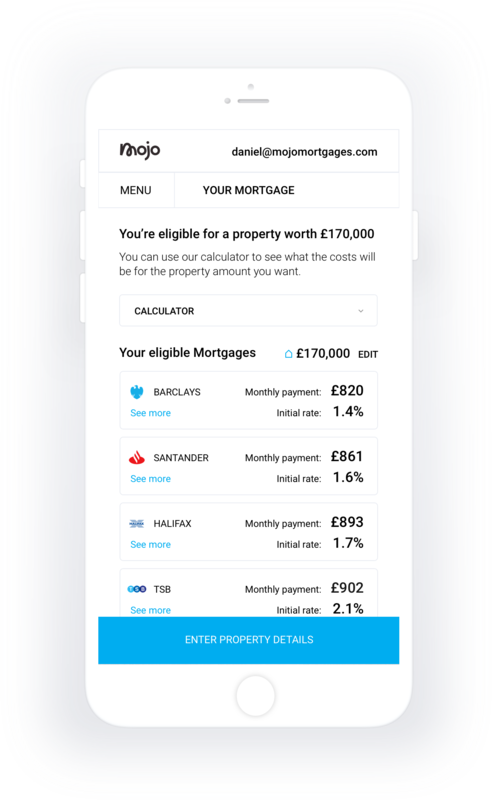 Please contact your Mojo Mortgages Partnership Account Manager.